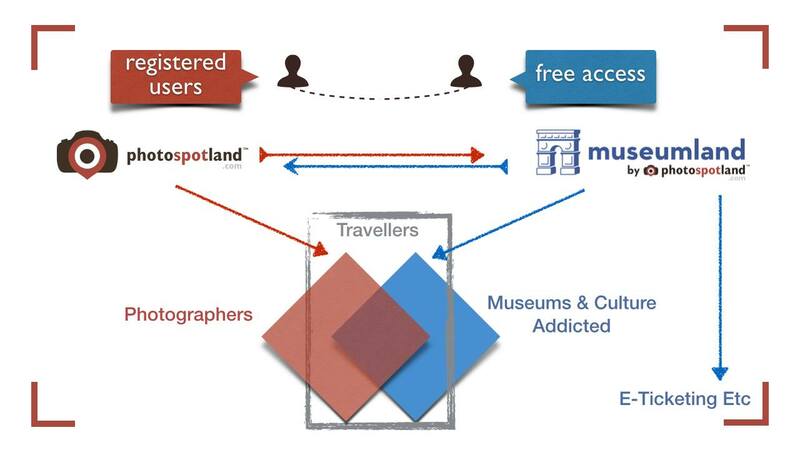 PhotoSpotLand, a Catania, Italy-based startup that operates a social operating system for travel photographers, acquired the tech assets of Museumland, a global museum portal. PhotoSpotLand Founder and CEO Mario Bucolo had created Museumland in 1999 and sold it in 2007. Now, he opted to reacquire the site, which features 20k museums and cultural destinations in 142 nations. PhotoSpotLand’s designer Mirko Santangelo, developer Luca Marturana and content manager Cinzia Costanzo now have the task of restructuring the site, its management software, and the database (which has not been updated since 2007) within the first quarter of 2014 in order to integrate it in a unique web and mobile platform. Bucolo, who co-founded the company along with Santangelo, Marturana, Paolo Zellner, Mark Fabiani told me that the access to the portal will be free while users will have to register to utilize PhotoSpotLand. The company aims to use Museumland to create sinergies among cultural, photo and travel photography and make it possible to provide sales services related to museums, archaeological areas and exhibitions, guided visits, merchandising and transports, travels and hotels. In order to execute the plan and open an office in NYC, Bucolo is now seeking seed funds (in the range of $200k/$250k) following a €27k microseed raised in 2013 (read here).